Our vouchers make a lovely gift! They come presented in a pretty handmade luggage label & may be posted to you or the lucky recipient. 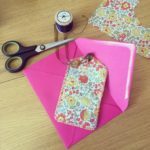 Whether you would like to treat someone to some sewing ‘me-time’ or help them get started with a new hobby we have various vouchers available. For a special treat, buy an introductory course of individual lessons (3 two hour lessons) & get 6 hours for the price of 5. Please select this option from the ‘Choose a Voucher’ selection below. 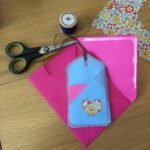 A 2 hour young sewer lesson (suitable for age 8-12 years only, with an adult) – I concentrate this lesson on helping the young sewer to become familiar with using a sewing machine. I started at this young age & I am keen to help others do the same. 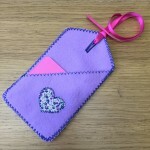 I work with simple shapes & stitches so that they can make something pretty to take home. The accompanying adult may choose to watch or have a go at some sewing of their own, with limited assistance. £30 (a drink & all materials included). 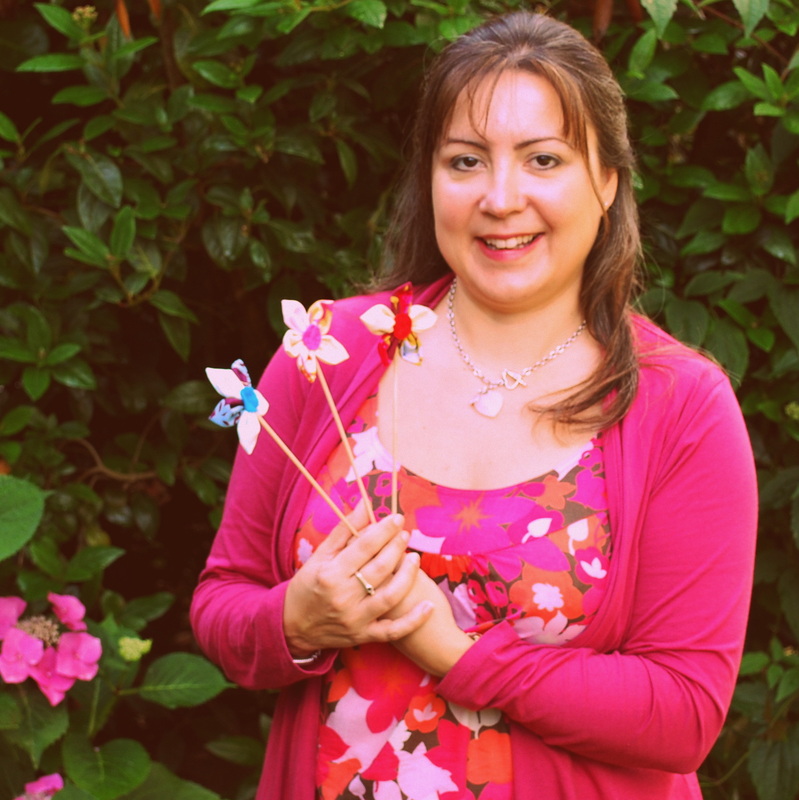 We are also very happy to make up bespoke gift vouchers for any special treat you have in mind, such as a special event or for a specific workshop that is not on this list. Please email maria@cafesewciety.co.uk to make these arrangements. Please select your voucher from either the lesson or workshop dropdown list below. Details on how to redeem the voucher (booking a lesson or a workshop place on a date to suit the recipient) will be included with the voucher. Gift vouchers are valid for 12 months from the date of purchase & may be exchanged for the item specified or an appropriate alternative. They have no cash value. On receipt of confirmation of a gift voucher purchase I aim to personalise, print & post the voucher in time for the next day’s collection. Please provide details if you would like us to add a personalised gift message or send the gift voucher directly to the lucky recipient. Click the buy now button to be redirected to the secure PayPal payment screen. If you do not have a PayPal account you can also pay by credit or debit card using this button.